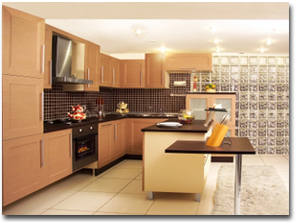 We will design and install all aspects of your new kitchen. Whether its new tile or hardwood flooring, Oak, Maple or Cherry cabinets, Stainless steel appliances, granite, corian,or Ceaser stone counter tops, lighting, ventilation, backsplashes, we make sure the remodeling process is simple and meets your satisfaction. We strive to give you the top of the linke look your home deserves. We guarantee top quality work at the most affordable prices. Get a free quote to learn what we can do for you.